Every email counts. Make the most out of your campaigns with proper campaign management tools. 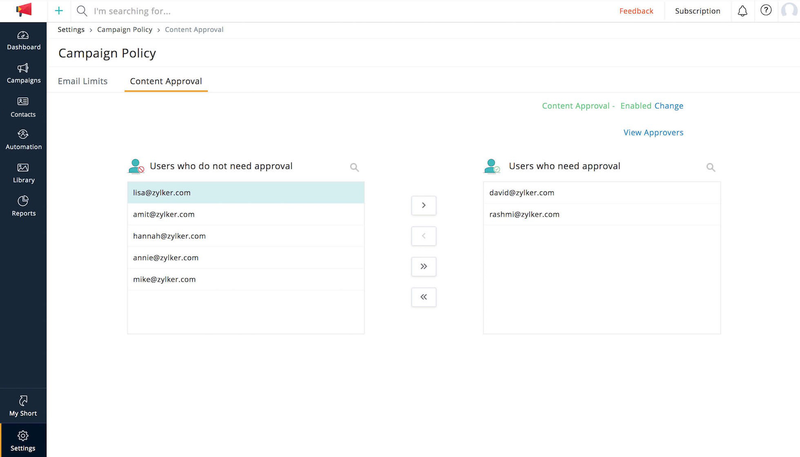 Zoho Campaigns allows you to design, approve, and organize your content conveniently—under one roof, ensuring that the components of your marketing campaign are streamlined and well-orchestrated. Get your users working together, and manage campaigns from an organizational level. 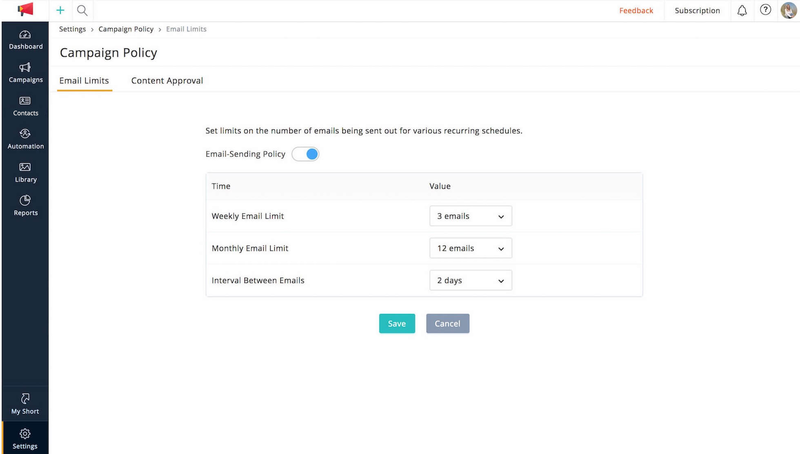 Assign custom roles and set privileges for your team members so that your campaigning process is totally flexible. Campaign content is of paramount importance and should be thoroughly reviewed. Managers can check and verify content to make sure that only high-quality campaigns are sent to your subscribers. When communicating with your subscribers, your email campaigns need to be well-paced and timely. 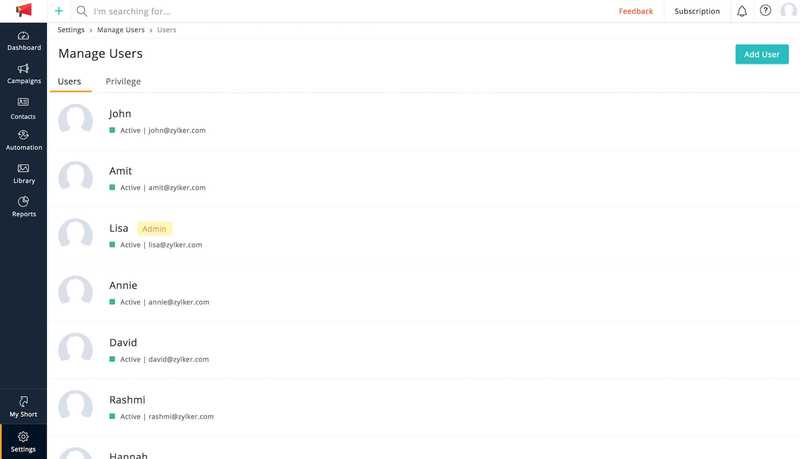 Set a schedule for the emails you share with subscribers. By choosing the time interval you need, ensure that you send out the right number of messages at the right time, to the right audience. Need a unique campaign theme that you can use over and over? Now you can create and save one-of-a-kind designs with Zoho Campaigns. 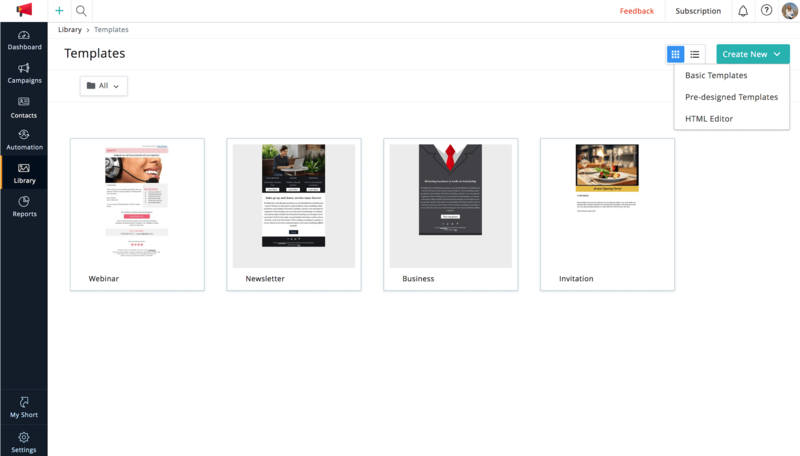 Once you've created and customized a layout to suit your needs, you can save your template in the Template Library, and use it for other campaigns, anytime you need. 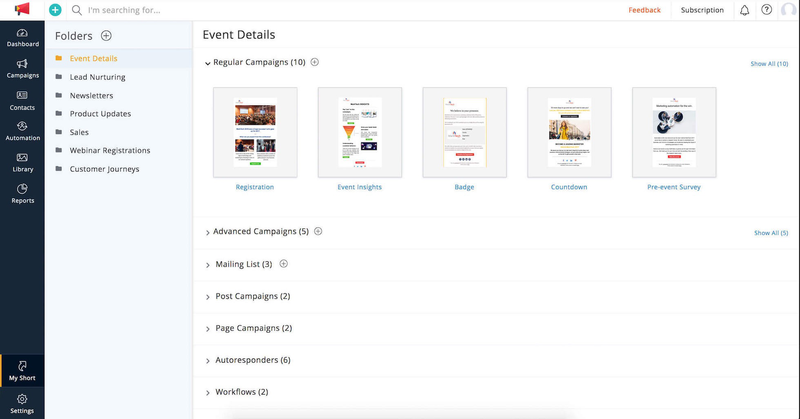 View the details of individual campaigns at a glance by combining recipient information, follow-up messages, workflows, and social posts into designated folders. Your campaigns can also be archived and displayed on your website or blog.